Sky-high levels of lead and cadmium in children’s jewelry were found in tests by the Washington Department of Ecology. One necklace for young girls was more than 98 percent cadmium. Another was more than 5 percent lead. With Easter and the first day of spring around the corner, pretty dresses are flying out of the stores and piling up in online shopping carts. But tests by the state Department of Ecology show chances are dangerously high that some of those dresses are adorned with jewelry loaded with toxic metals. Of 27 pieces of jewelry packaged with dresses that Ecology randomly purchased last October and tested, five had extraordinarily high levels of cadmium and lead. Ecology purchased the dresses both in brick-and-mortar stores, and online. The dresses are marketed specifically to parents of young children — the very group at the greatest exposure risk, either from swallowing the jewelry, mouthing it or frequent hand-to-mouth contact. Under the Children’s Safe Products Act, passed by the Washington Legislature in 2008, items intended for children cannot contain more than 40 parts per million of cadmium. But in four pieces of jewelry sold packaged with girl’s clothing, Ecology’s testing found high levels of cadmium. One necklace tested at 984,000 parts per million, meaning it was 98 percent cadmium. A necklace sold with another dress contained 50,100 parts per million of lead, meaning it was 5 percent lead. Federal law limits total levels of lead in children’s products to 100 parts per million. It’s not the first time. 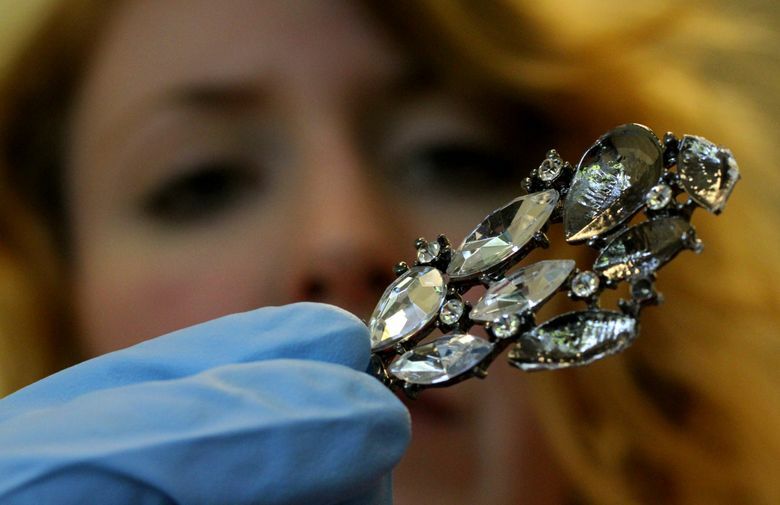 From 2004-2009, more than 150 million pieces of jewelry were recalled because of excessive lead, said Scott Wolfson, spokesman for the Consumer Products Safety Commission. In 2007, The Seattle Times purchased and tested inexpensive children’s jewelry and found illegally high levels of lead. Cadmium is the new bad actor. “These are astonishingly high levels,” said Charles Margulis, media director for the Center For Environmental Health in Oakland, Calif. Some of the jewelry tested had such high levels of metals it is best to dispose of it as hazardous waste, instead of in household trash, where it can become a source of pollution, said Jessica Payne, spokeswoman for Ecology. In a prepared statement, Julie Bull, director of investor relations for Dillard’s, which sold online a black-and-pink dress with the necklace loaded with lead, and a coral dress with a gold-colored key charm that was 40 percent cadmium, wrote: “The safety and quality of the products we offer our customers is of paramount concern at Dillard’s. 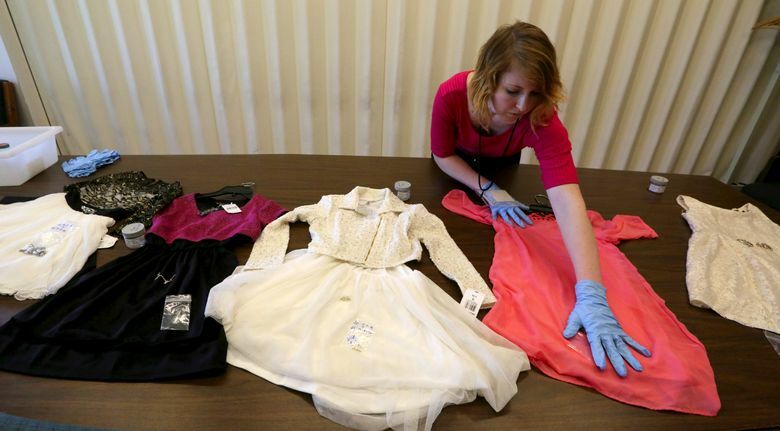 At its Tacoma store, JC Penney sold a cream-colored dress with a bow charm that was 53 percent cadmium; a gold, black and white dress with a necklace that was 98 percent cadmium, and a lace cream-colored dress with a necklace that was 93 percent cadmium. Sarah Holland, manager of corporate communications, said in a prepared statement that, “JCPenney takes the health and well being of our customers very seriously. JCPenney has an established standard for cadmium in all children’s products, including jewelry. We require our suppliers to meet that standard and to have test data to support their compliance. But with so much toxic jewelry turning up in such a small sample, it’s certain there is more out there. For its study, Ecology defined children’s jewelry as products designed for children 12 years old or younger. The department also tested 132 items of children’s jewelry sold separately, and all of it was found to be safe. The problems surfaced only with brooches, charms, necklaces, and other bling that was attached to, or sold along with, the children’s clothing. Cadmium and lead accumulate in bone and soft tissues in the body and remain for a very long time. Cadmium can lead to cardiovascular, skeletal and kidney damage. Lead affects brain development and damages the cardiovascular, immune and reproductive systems. Both metals are toxic at very low doses. Ecology has contacted the manufacturers of the dresses with the cadmium violations. The manufacturers must either prove they are compliant with Washington’s standards, or issue a recall of the products. 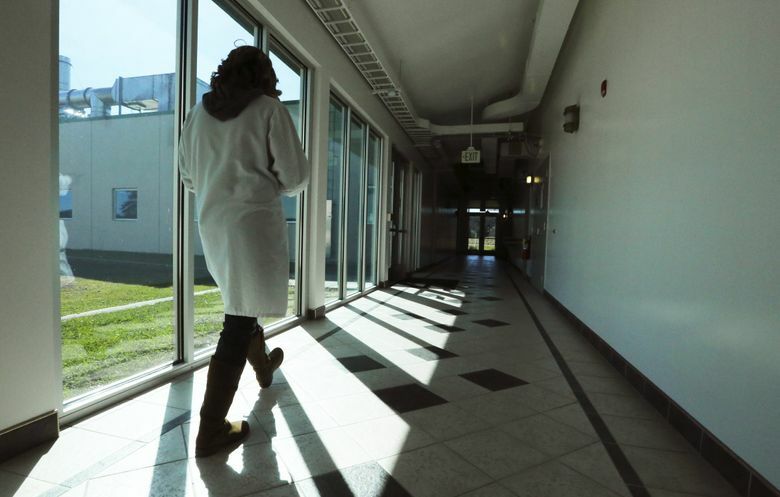 Ecology referred the lead findings to the federal Consumer Product Safety Commission. “There is no safe level of lead,” said Wolfson of the commission, which has the authority to demand manufacturers and retailers issue a recall. The commission would do its own testing before taking any action, Wolfson said. The lab tested for seven chemicals of high concern to children in the jewelry: arsenic, cadmium, cobalt, molybdenum, lead, mercury and antimony. 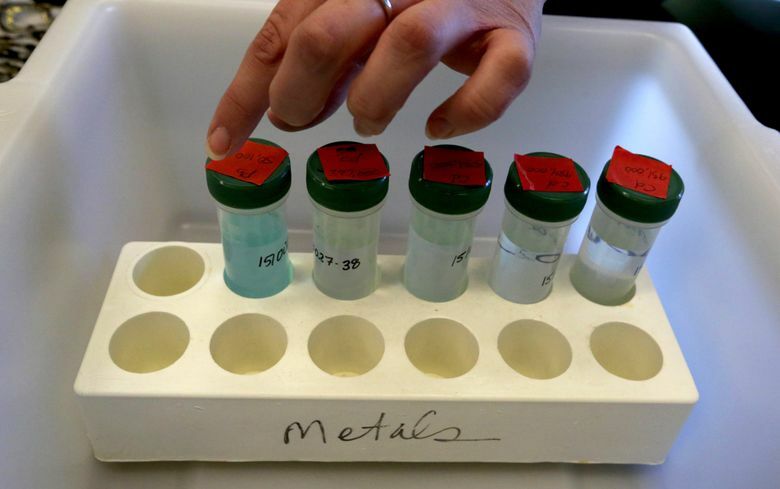 All 38 samples analyzed contained one or more of the metals. Keeping unsafe products out of commerce has been an uphill battle. 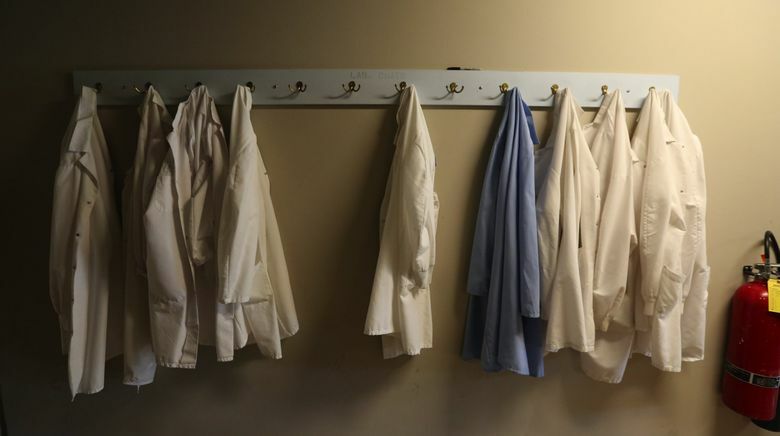 While the Legislature passed the Washington State Children’s Safe Products Act in 2008, the Legislature did not provide funding for testing equipment, to hire staff, and to analyze consumer products until the 2014-15 biennium. Before then, Ecology made do with grants, or borrowing from other staff and budgets within the agency. 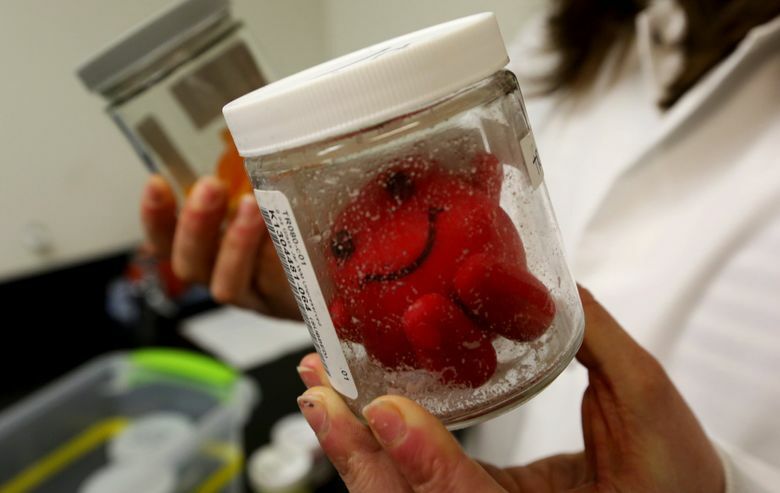 Yet Washington is at the leading edge of consumer product testing, noted Joel Bird, who directs Ecology’s testing lab in Port Orchard, Kitsap County. Most states do no testing at all. The federal and state governments regulate only a fraction of the materials and chemicals used in the manufacture of consumer products, and more are devised all the time. Even when they are regulated, the legal levels of metals and chemicals in the products families bring into their homes are much higher than the levels set in environmental standards for soil, water and air. It can be problematic using the same equipment to test consumer products and environmental samples, Bird said, because consumer products contaminate and damage the testing equipment. Steven Gilbert, director of the Institute for Neurotoxicity and Neurological Disorders in Seattle said the toxic jewelry problem puts parents in a tough spot.